Kitchen Confidential! 8 Ways to Prep for Resale! One of the challenges of creating a truly smart home is that many of the products and systems don’t talk to one another. Tech companies are racing to find a solution. One firm, Intel Corp., is developing a platform to help make that connection. 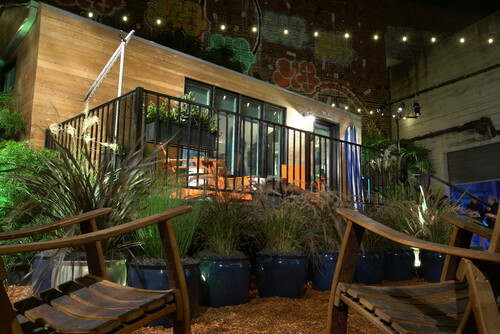 It has created an experimental “living lab” to test smart-home technologies and showcase what might be possible. 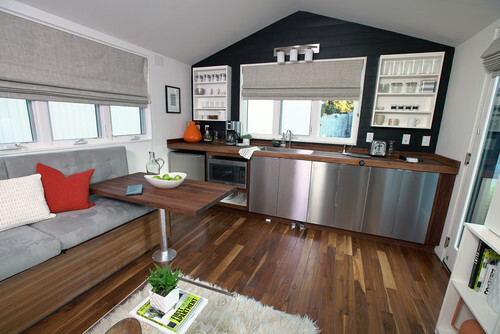 The Santa Clara, California, company brought its “smart tiny home,” as it has dubbed the house, to San Francisco on November 2 to show it to the media and talk about what the firm is doing. The tech company’s new platform is designed to link smart-home devices and sensors — along with older products that weren’t designed to be smart — so things such as security, lighting, appliances and HVAC could be controlled by a single interface. 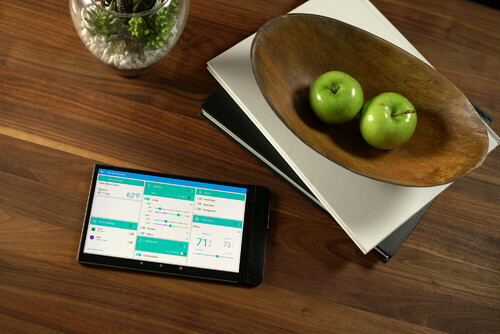 Intel’s Smart Home Development Acceleration Platform is due to be available to app developers in early 2016. New products would integrate the platform — which utilizes open standards such as the Open Interconnect Consortium — into their technology. 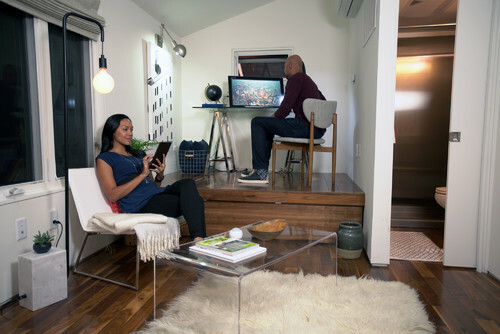 Above, Intel’s smart tiny home was temporarily displayed on a San Francisco property to demonstrate how some of the products might work. 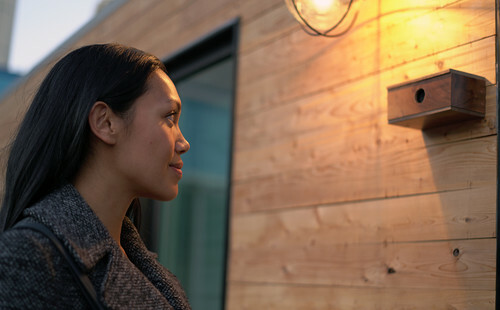 Intel’s smart-tiny-home experience started at the front door, where a security camera tricked out with the company’s RealSense technology and True Key facial recognition software monitored comings and goings. Intel’s app was programmed to unlock the door for certain people and lock the door for everyone else. In your home, a smart-home app would send you an alert on your device when someone new was at the door; you could manually approve the person remotely. Doors also could be locked and unlocked with voice commands. Martin Despain, director of Smart Home at Intel, demonstrated this at the San Francisco event, using the command, “Hey, computer, I’m leaving.” After a few seconds to allow for exiting the house, the deadbolt moved to secure the door. Other security needs could be addressed with sound recognition technology as well. Intel’s demo app responded to the sound of breaking window glass with an alert. On November 2, Intel also released the results of a survey it commissioned to study Americans’ attitudes about smart homes. It found that seven in 10 people expect smart homes to be as commonplace as smartphones in the next decade. Eight in 10 say integrated security is a priority and want a single sign-on portal where they can manage their home. A majority expect smart-home devices to be packaged with other services, such as cable and Internet (83 percent), and to be as easy to set up as cable TV (74 percent). At Intel’s San Francisco demo, this tablet ran key features of Intel’s smart house. Using the app, Intel’s Despain controlled door locks, lighting, security and more. Despain demonstrated how a smart home could detect water leaks in the home using this off-the-shelf moisture sensor. 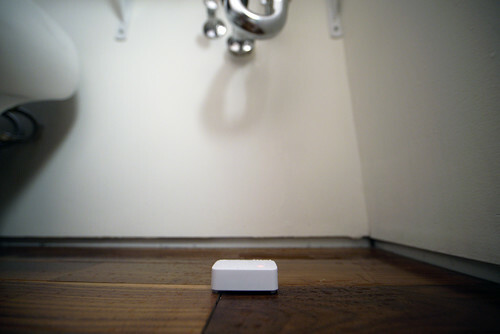 He placed the sensor in a plate of water, and an alert popped up on his tablet. The app provided a list of recommended plumbers, which could be let into the house remotely using the smart home’s camera and security system. He also used voice recognition software to turn on and off smart lightbulbs from three makers — Philips Hue, Cree and Osram — which work together with the help of Intel’s software development kit. He showed how they also could be controlled with an app on the tablet. 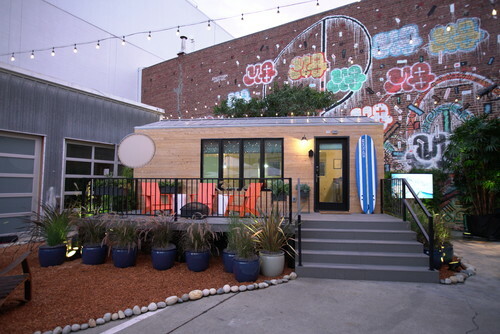 Intel’s smart house also showcased some ideas for tiny-home design. 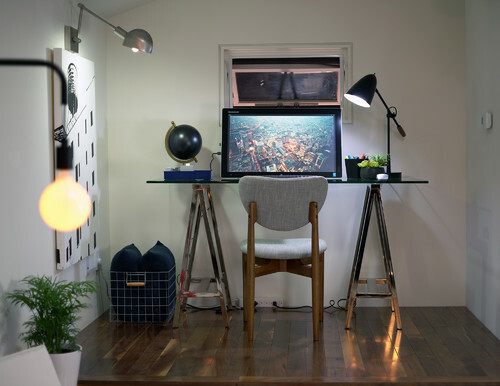 Kyle Schuneman, who specializes in small-space design, put together the interiors. To make the most of the 210-square-foot space, he included versatile features that do double duty. Above, the dining table could work as both a kitchen island and a dining table, and the area under the banquette seat stores a water heater. In the previous photo, a home office sits on a platform that houses a queen-size trundle bed. Would you like to build or remodel your dream home? Wolford Building and Remodeling has an in-house design team to help make your interior design decisions at no additional cost to you!